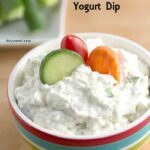 This dip is always a big hit at parties, and when you add in pieces of cucumber, cream cheese, and dill, you can be sure people will ask you for this recipe! 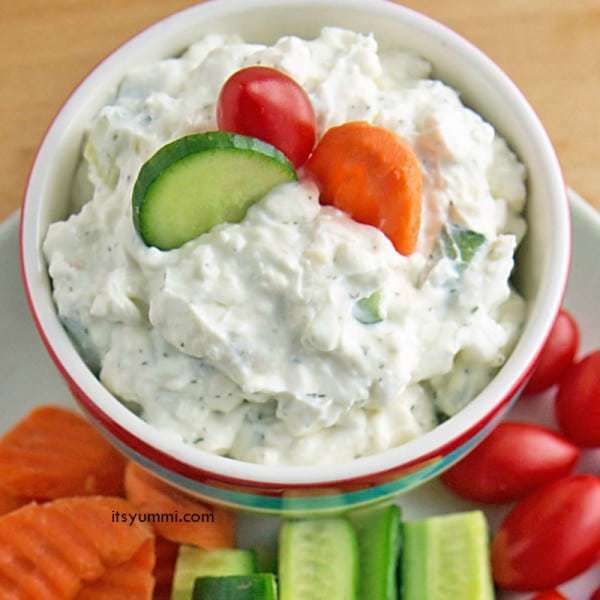 This dip is always a big hit at parties, and when you add in pieces of cucumber, cream cheese, and dill, you can be sure people will ask you for this Creamy Dill Cucumber Yogurt Dip recipe. Welcome to #EatHealthy16 where over 30 bloggers are coming together to share recipes to help you with your start 2016 off on the right track with food that is nutritious and delicious. I’m thrilled to welcome Becca of It’s Yummi, food blogger and virtual assistant extraordinaire. Not only does she make great recipes focused on fresh ingredients that are still totally approachable, but she is always there to help out a friend. Enjoy wha she is sharing with us today, then check out the recipes from the other hostesses – Jamie of Love Bakes Good Cakes will have healthy meals, and Jenny of The Melrose Family will have healthy desserts. And make sure you follow the #EatHealthy16 hashtag throughout the month of January for tons of inspiration. 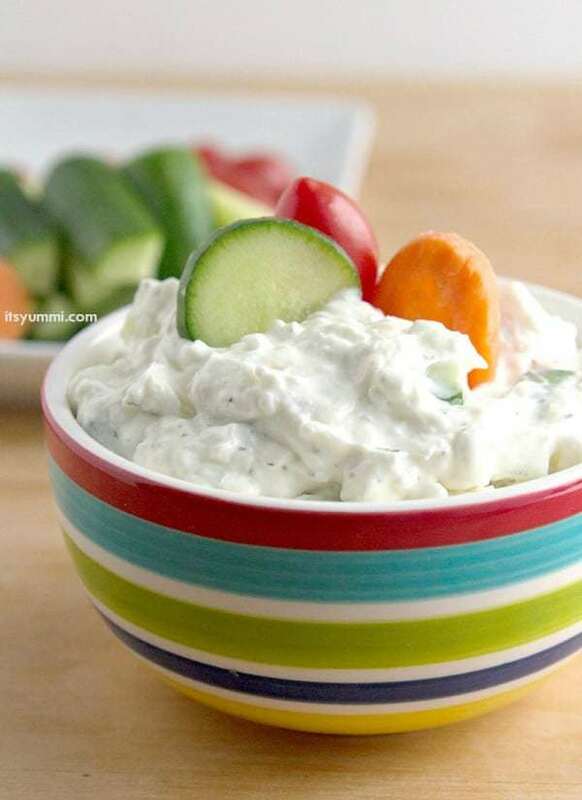 I’m so happy that Brianne asked me to share my cucumber yogurt dip recipe with you today. My name is Becca, but most of my friends call me Bec. Some of them even call me Chef Bec, because I graduated from a technical school culinary program a few years ago. For the past 4 years, I’ve been the “chief cook and bottle washer” at It’s Yummi, where I mostly share from-scratch recipes that I’ve developed myself in my Wisconsin kitchen, or ones that I’ve adapted from magazines and trusted recipe sites. 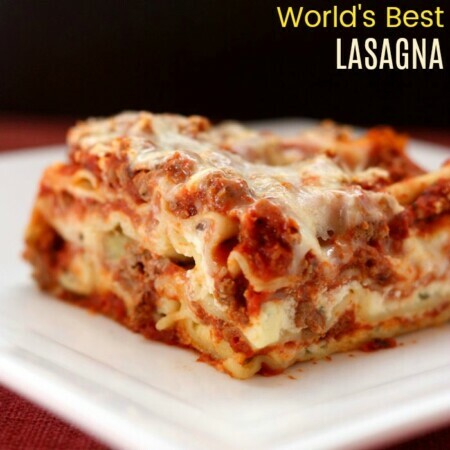 Many of the recipes, especially the newer ones, are made using very few processed ingredients. I prefer to use all-natural and organic ingredients when I can afford them. Especially when it comes to produce and proteins like beef, poultry, and other meats. During the recession of 2007, I found myself out of work in my mid-40’s. I had worked customer service and sales jobs most of my life and after two years of unemployment, I knew that it would be really difficult to find work again in that field, so I decided to pursue my dream of learning to cook. As soon as I finished my first semester, I knew that recipe development was my passion. I absolutely love testing recipes and finding out what works (and what doesn’t!). However, one thing remains the same… I’m still a bit lazy. I like saving time and cutting corners when I can, so the recipes I create are quick and easy to make, and absolutely none of them are gourmet or call for strange, expensive ingredients. Everything is easily accessible at most larger grocery stores. 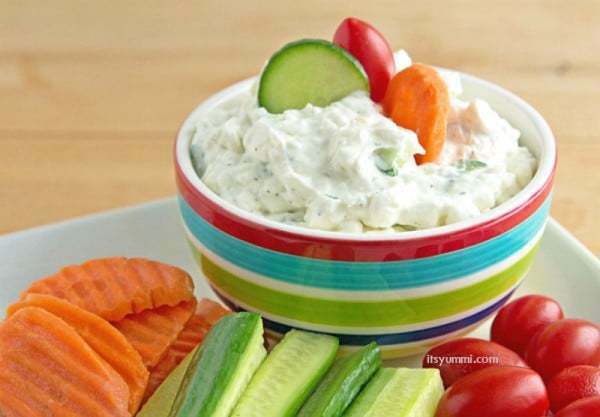 Like the ingredients for this creamy dill cucumber yogurt dip recipe! 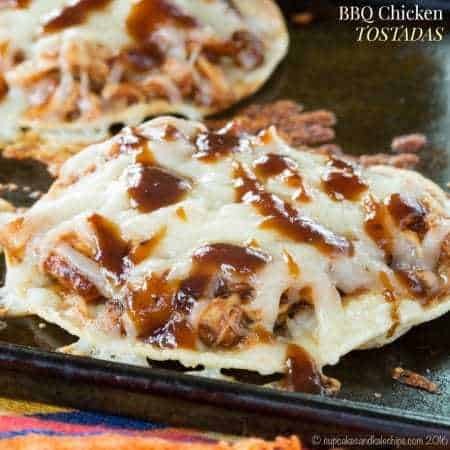 The carbohydrate lover that I am usually tries to get the best of me when it comes to party food, so I consider it a fun challenge to come up with healthy snack and appetizer recipes. The most popular savory healthy appetizers on my website are steak fajita bell pepper sliders and a bacon chipotle cheese ball. I mean, who doesn’t love cheese and bacon?! 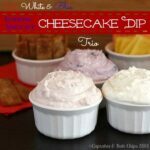 The most popular sweet healthy snacks by far are my recipes for low carb raspberry almond cheesecake bites and low fat chocolate chip peanut butter dip. 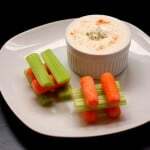 If you enjoy this cucumber yogurt dip recipe, I hope you’ll consider coming over to see more recipes on my website. I’m also across social media on Facebook, on Pinterest, on Twitter, and on Instagram. In a small bowl, combine yogurt and cream cheese. 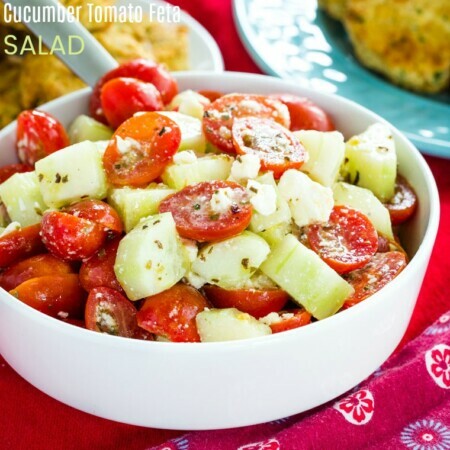 Stir in the cucumber, onion, dill, lemon juice, peel, garlic, salt and pepper. 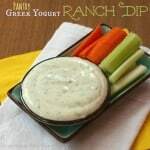 If you desire a thinner consistency dip, add more yogurt, 1/4 cup at a time, stirring and tasting as you go. 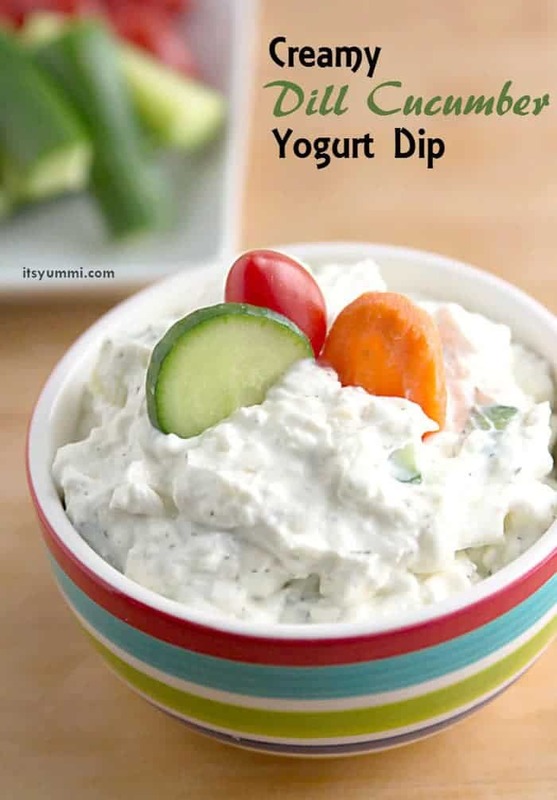 ** If you want to cut the calories and fat in this dip, use reduced or non-fat yogurt and reduced or non-fat cream cheese. Hey just stopping by and let you know your awesome post was picked as a feature this week on #HomeMattersParty linky. You can see it at http://adventuresfrugalmom.com/home-matters-linky-party-72/. Make sure to grab the I was featured button for your sidebar. Congrats and thanks for linking up. I could definitely see this as a party fave, it looks amazing! 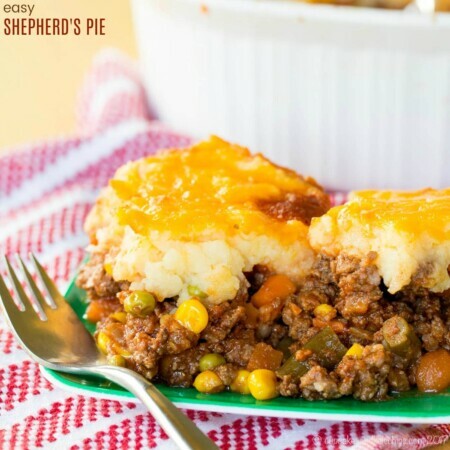 Thanks for sharing your recipe with us at Merry Monday! This sounds so fresh and good! Gonna make for super bowl Sunday!